One of the most interesting and surprising observations I have made during the years I have been teaching media literacy and production is the consistency with which students have been drawn to or challenged by certain assignments. Year after year, without exception, the most eager response I have had from students is to the central project of Chapter 2 (Inventions and Origins) – a non-dialogue movie. Yes, a silent film! And the one that students typically struggle with the most, virtually without fail, is the project for Chapter 6 – a documentary (more on that in an upcoming entry). This year was no exception, and a number of the finest projects from the class during this semester were made for the Inventions and Origins unit. Expressing complex narrative and emotions through visuals in "Wall-E"
I think there are a number of reasons for this attraction. One is the challenge. Actually, as part of the assignment, students are allowed to have a small number of dialogue lines. I had decided to do this because I did not want to force the students to mime lines or to corner them into stilted performances. However, they virtually never put in any lines – they nearly always make it a completely silent movie! They want to focus on the strength of the visuals to tell the story – along with music and sound effects, which they explore to varying success (usually linked to the amount of preparation and effort that went into their choices and work, of course). I also think that stories of invention are inspiring for creators working in any medium, and this is one of the primary reasons for the existence of this unit and for its impact. One can see evidence of it in the reactions to this year’s Oscars, and it was seen a few years ago with a movie that won an Oscar and appears on the list of movies one can study with Chapter 2: Wall-E. 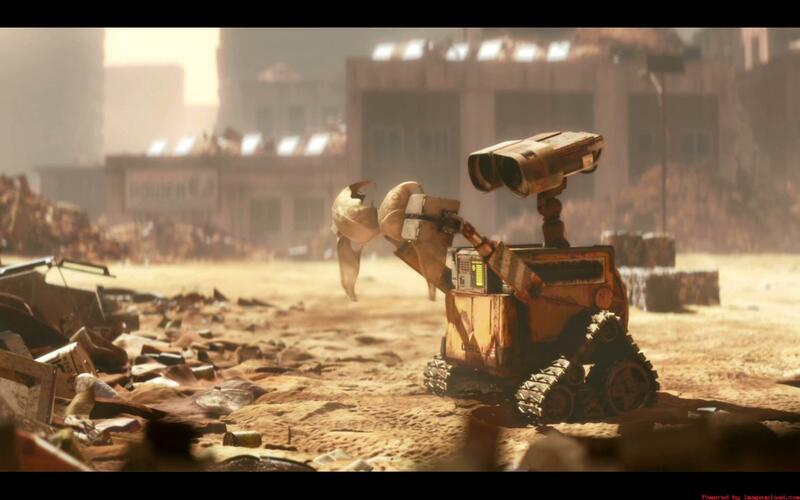 The opening act of Wall-E is one of the most lyrical and brilliant examples of cinematic storytelling one could hope to find. By the way, The Artist and Hugo will also be appearing on the list of movies that can be studied with Chapter 2 – the news is official right here! Just as I was writing the last sentence, I got an e-mail telling me that my order for the DVD/CD combo of Le Voyage dans la Lune had shipped. Pretty funny timing! This is a new soundtrack by the French group Air for Georges Méliès’s seminal short science-fiction movie based on Jules Verne’s Trip to the Moon, and featured in Figure 2-17 of Moving Images. A hand colored version of this silent classic was found in 1993, then painstakingly restored, and finally premiered at the 2011 Cannes festival with the score by Air. There will be other posts on silent film to come this month: a discussion of the work of pioneer Alice Guy-Blaché, notes on Hugo, and more.